The government intends to offer three new pre-salt areas for oil exploration in November, for the 3rd Bidding Round in the production-sharing regime. 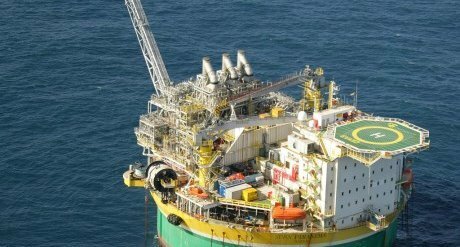 João Vicente Vieira, head of the oil and gas production and exploration department of the Mines and Energy Ministry, says the National Petroleum Agency (ANP) already submitted a list of suggested assets for the next rounds. The government plans to hold ten auctions between 2017 and 2019, with one pre-salt tender a year. “The ANP has indicated several areas, but is distributing them throughout the years because we want to do a multiannual [auction schedule]. The idea is to offer three areas [this year],” he says. Ministry and ANP are keeping the areas confidential until the National Council of Energy Policy (CNPE) approves the list. Asked whether the next auction will offer areas as large as Libra, the first block to be auctioned under the production-sharing regime, Mr. Vieira says tendering new blocks of that size is “unlikely.” The potential reserves of Libra were estimated between 8 billion and 12 billion barrels in the 2013 auction. The ANP has been mapping potential new areas for some years and had already revealed it could offer at least three: Saturno, Pau Brasil, and Peroba. The agency’s previous director, Magda Chambriard, once said that Pau Brasil could potentially hold 8 billion barrels “in situ” (unproven reserves that are not necessarily recoverable). The ANP also sees great potential in Alto de Cabo Frio, which sits in the pre-salt polygon. The government plans to create a multi-year calendar of auctions. The new ANP director, José Gutman, confirmed that ten auctions will be held between 2017 and 2019. Officials expect to hold three rounds per year. “We can hold auctions very frequently. The scenario points to that. We will have four rounds this year and the already announced idea is to have three rounds more per year for 2018 and 2019: a small round [of areas with marginal accumulation], a round of exploration blocks [under the concession regime], both onshore and offshore, and a pre-salt [production] sharing round,” Mr. Gutman says. In 2017, in addition to the 3rd pre-salt round under production sharing, the government also plans to offer fields with marginal accumulations; the 14th Round of exploration blocks; an auction of unitizable areas held by the federal government – which have not been auctioned yet and connect with finds whose reservoirs extrapolate concession borders: Carcará, Gato do Mato, Tartaruga Mestiça and Sapinhoá. As it organizes the next auctions, the government also tries to solve some pending issues from previous rounds. With one year left for the concessions auctioned in the 11th and 12th rounds to conclude their minimal exploration targets, the regulator is working to postpone it for two more years. According to ANP data, three years after the 11th round in 2013, only 30% of investment commitments made by oil companies in contract have been met so far. As for offshore areas, the situation is even more problematic: only 5% of minimum exploration commitments were met. Overall, 33 out of 49 offshore blocks from that round didn’t see any exploration investment at all. According to a technical note of the ANP, the low level of activity in 11th and 12th round blocks can be blamed on the decline in oil prices, which affected the investment ability of companies in recent years; the operational and logistics challenges of the equatorial margin. Being a new exploration frontier on which there is little geological surveying, the area’s projects experienced environmental licensing delays.